In a few weeks, we’ll see Google Assistant take up a residency on an entirely new connected device. The Mountain View-based company is expected to unveil its own smart display. Between the hardware and software, Google might have the best smart display on the market. Google will release its own smart speaker this fall, according to MySmartPrice. 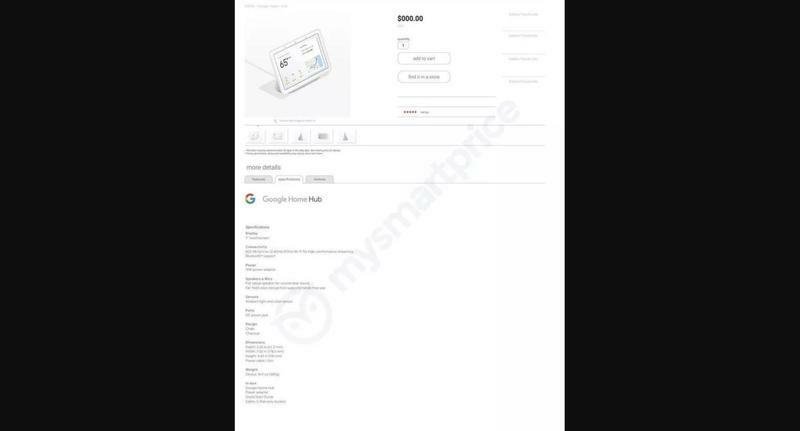 The media outlet obtained multiple photos that show an unannounced device as well as its features and specifications. 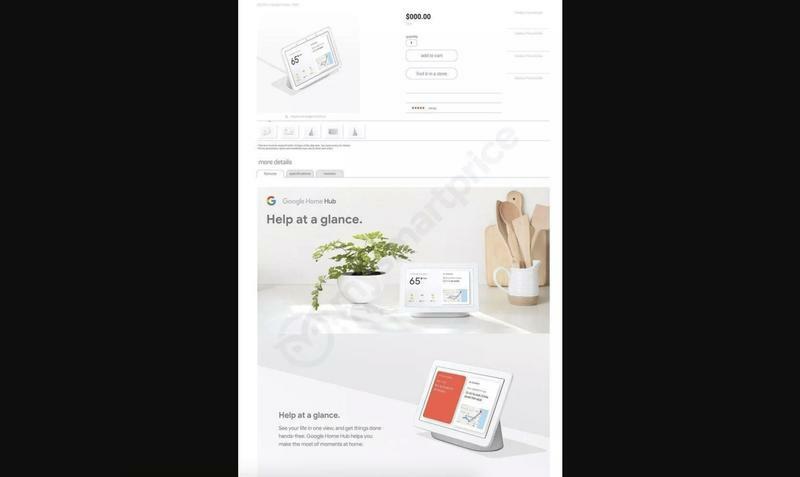 As for its name, the Google Home Hub represents a central location for users to see and hear information from a digital assistant. It also gives a nod to the Home portfolio that includes three smart speakers. So there should be premium audio on the Home Hub, too. The leak suggests there’s a 7-inch LCD panel. Its resolution remains unknown, but we have to assume HD (1280×720) or Full HD (1920×1080) will be present. MySmartPrice believes the full-range speaker unit isn’t as large as the Home Max’s, and that makes sense. Google needs to make the Home Hub compact its 7-inch display. Yet this smart display could take up a fair amount of space because the display sits atop of the speaker. Interestingly, the product listing that the leak draws upon doesn’t mention a front-facing camera. The Home Hub, however, will have an ambient light and color sensor. Even the photos suggest there won’t be a lens for video calls on Duo. Maybe there will be a front-facing camera; however, doesn’t make that seem likely at the moment. While most of the interaction will be done through voice commands, the display should also be touch-enabled for physical input. Google wants you to speak to its digital assistant, but both methods to get Google Assistant active will suffice. From a software perspective, the Home Hub shouldn’t be different from other smart displays. 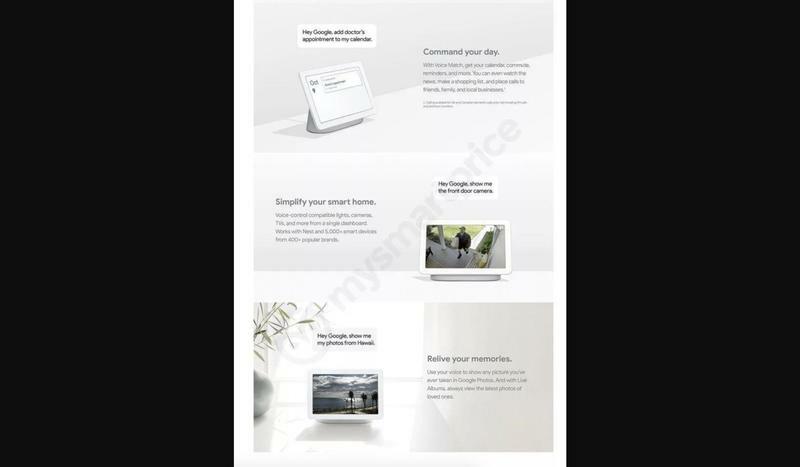 Lenovo and JBL have introduced Google Assitant-powered smart displays in recent months. These smart displays return audio responses from the digital assistant as usual, but they can provide more context with the display. 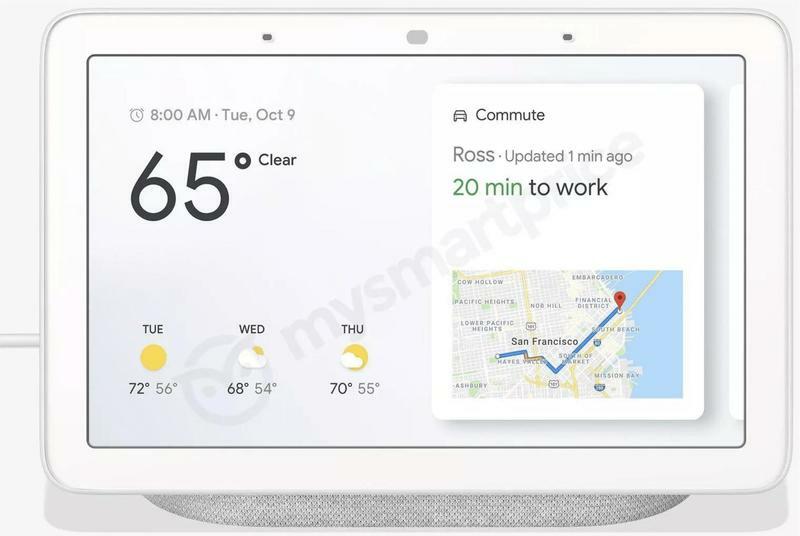 In addition to the Chalk White variant shown in these photos, Google could roll out a Charcoal variant. Both colors are available for the Home Mini that launched last year. Google should be busy on October 9. 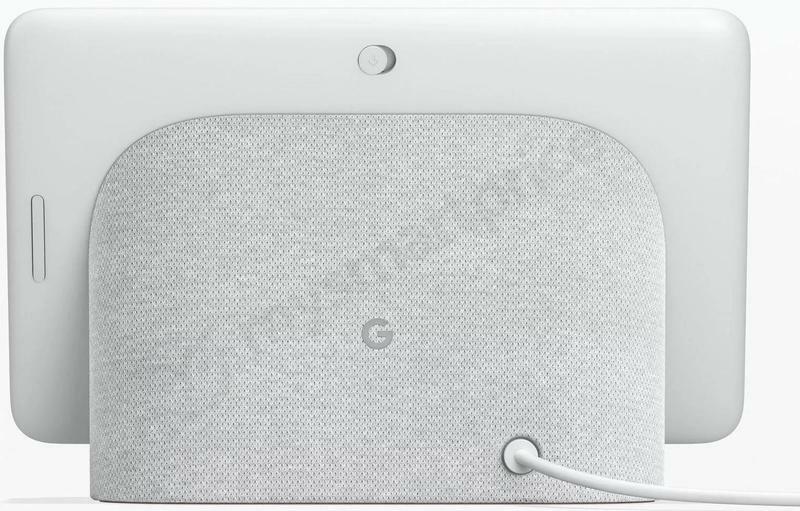 Along with the Pixel 3 and the Home Hub, the Pixelbook 2 and a budget-friendly hybrid are likely to go official. The launch event could even incorporate some surprises to keep consumers on their toes.